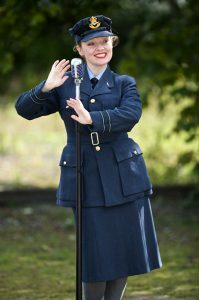 Hello every-one it’s just a very quick blog tonight as I get ready and set for a wonderful weekend working for the National Trust’s 1940s weekend. This weekend you will be able to catch me performing at Hughenden Manor, Valley Road, High Wycombe, Buckinghamshire HP14 4LA. So I hope you can all make it along as it’s promising to be a fantastic weekend. I’m particularly looking forward to this weekend as I’ve been employed to sing , dance and compere the event so it will be using all my performing skills. I was originally asked by the event organizer to choreograph some dance workshops to fit within the terrace space of the house and I’ve come up with some routines based on “The Lambeth Walk” and “The Palais Glide” along with a few other ideas I’m looking forward to exploring with the public. All we need now is good weather so fingers crossed! then be performing my first 45 minute singing set at 11.30am which on the Saturday will be my US WAVES Show and on the Sunday I shall be changing from American to British and opening with my WAAF show. I will then be back on the terrace stage at 3pm as I stage my dance workshop so it will be good to be doing something different and calling on some of my other performing skills. So I’m looking forward to working with them very much and our other male singer Ross Hardman. He is a trained musical theater and classical singer. Reading through some of Ross’s background he graduated from the University of Winchester in Vocal & Choral Studies back in 2015. Whilst working at Cliveden National Trust he regularly performed for weddings and conferences and specializes in modern & jukebox jazz, hence which is why he will be at Hughenden weekend to perform classics from Frank Sinatra and Tommy Dorsey. Other attractions taking place over the weekend will include a WW2 weapons demonstration, Mr Punch versus Adolf Hitler, A Paratrooper display, a Skirmish, the Home Guard plus the opportunity to look around Victorian Prime Minister Benjamin Disraeli’s beautiful home. 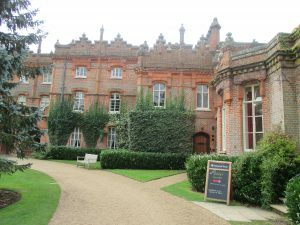 I shall leave my blog here tonight as I have more Battle of Britain shows to perform tomorrow, and I hope you can all join me this weekend at Hughenden.